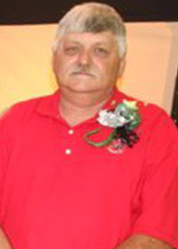 Dwight Herman Denney, 64, of Beaumont, died Wednesday, March 20, 2019. He was born on October 29, 1954, in Orange. Dwight was a United States Air Force veteran. He later worked as a supervisor at American Valve and Hydrant. Survivors include his wife, Yvonne Denney, of Beaumont; mother, Eulah Osbourne, of Vidor; daughter, Allison Fontenot and her husband, Michael, of Aurora, Colorado; stepson, Jason Jeffers, of Beaumont; grandson, William Fontenot; and sister, Debbie Kovac Morgan, of Vidor.